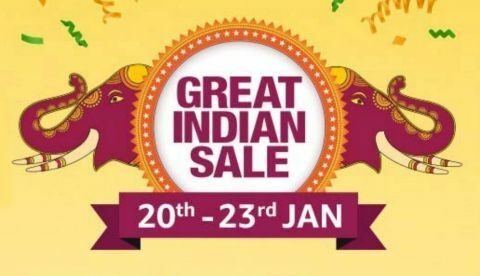 Amazon Great Indian sale has kicked off for all members from today. After giving early access to Prime members, the sale is now open for all. Here’s look at some of the best deals platform has on headphones. The Amazon Great Indian sale exclusively opened for Prime members on January 19. Now, the sale is open for all and scheduled to run till January 23. The e-commerce platform has also partnered with HDFC bank and offering up to 10% discount to users who will make payment through the bank’s debit or credit card. So, let’s just take a look at the deals. The Sennheiser HD 4.50 is a noise-canceling wireless over-the-ear headphone that was launched with a price tag of Rs 14,490. During the sale, you can get this headphone for Rs 7,490. Check out the deal here. Another Sennheiser headphone that is available on offer during the sale is an HD 4.40 wireless over-the-ear headset. The headphones offer a battery life of up to 25 hours. At the sale, it is available at a discounted price of Rs 5,989 down from its MRP of Rs 7,490. Check out the deal here. The Bose QuietComfort 25 Acoustic Noise canceling headphones are priced at Rs 12,599 during the sale down from its MRP of Rs 25,200. Check out the deal here. The JBL C100SI in-ear headphones are now available at a price of Rs 599 down from its earlier price of Rs 1,299. Check out the deal here. The Jabra Elite Active 65T is an Alexa enabled wireless earbud that was launched in India with a price tag of Rs 14,999. During the Amazon Great Indian sale, you can grab these earbuds for Rs 12,999. One can also get an extra 10% discount on their purchase if they will make payment via an HDFC bank card. Check out the deal here.